I read eight (8) books in the month of January. I'm not sure how that happened. I wasn't trying to read so many books in one month! I generally read four (4) or five (5) books most months. I am actually trying to read a little LESS in 2015. I want to focus on other areas of my life as well as allow time to read more deeply and THINK about what I've read. Sometimes it feels like a bit of a race. I also want time to write reviews and otherwise blog about my reading. This all plays into my focus word for 2015, BALANCE. I started reading Little Women in December, but with all of the busyness of the Christmas and New Year holidays I didn't finish it until well into January. This book was a re-read for me. I read this as a child and that was so many years ago that it was almost like reading it for the first time. It was interesting for me to read this as an adult and compare my childhood memory of it to my adult impressions. 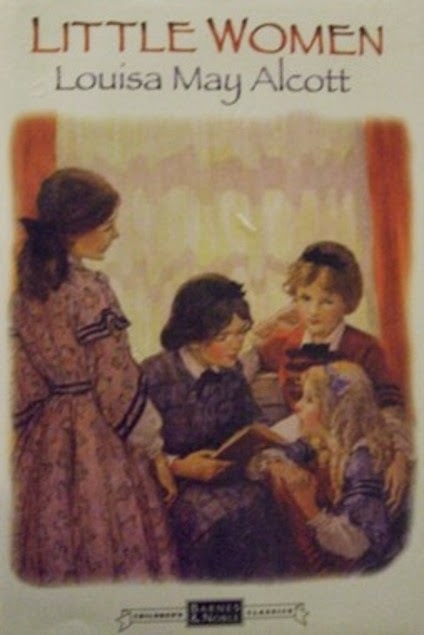 It is a very sweet book and I accepted that sweetness at face value when I was a child, but as an adult I did find myself trying not to roll my eyes at the same sweetness that seems somewhat manipulative now. I was able to get past this though by reminding myself that it was published in 1868 (Little Women) and 1869 (Good Wives) and has elements of both Romantic and Sentimental novels. It would make a fascinating study as a piece of Feminist Literature. This book helps to fulfill my Classics Club reading goal. More about this author here. Recommendation: Anyone looking for a good old fashioned read or interested in Feminist Literature. This book was such a quiet read. The writing was beautiful, which was expected from this author. 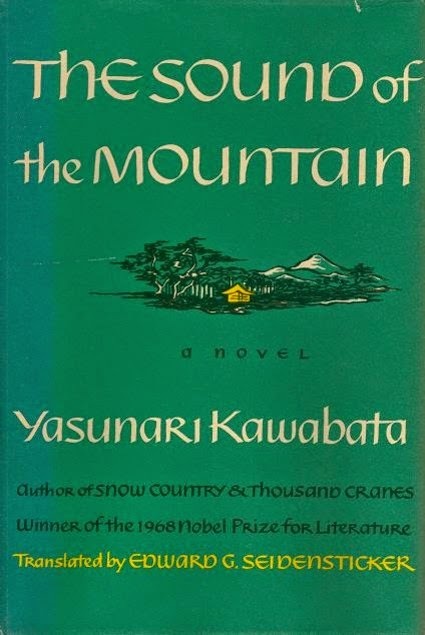 Last year I read Snow Country by Kawabata, and it too was a quiet and rather melancholy novel; I'm guessing that this may be a pattern with Kawabata. The Sound of the Mountain is a novel about a family and told from the perspective of the aging patriarch. It is full of the types of questions one might ask when facing one's mortality. This is a very thoughtful piece that I plan to review more fully, so watch for that review to come. I read this book as one of my personal reading goals for 2015. I'm hoping to read at least one piece of Japanese Literature per month. Recommendation: Those interested in Japanese Literature and/or stories that involve mature reflections on life. I do love a good post-apocalyptic novel once in a while. This one sure filled the bill for me. Mandel is a relatively new author and she is definitely new to me. 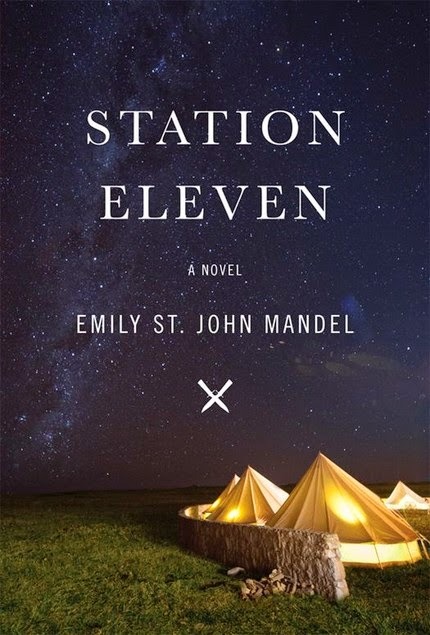 Station Eleven held my attention and I wanted to read it in one sitting. I do recommend that you read this book in as few sittings as possible since the shift in both point of view and time can leave you confused if you don't stay with the story. I am not a big fan of novels that jump around in time too much, but this author uses the device cleverly to slowly reveal the story. I think this slow reveal brings a richness and greater impact to the book. One of the things I liked most about Station Eleven is the motto that there is more to life than just survival. Unlike some post-apocalyptic novels that leave the reader with no sense of hope, I found this one refreshingly hopeful. Recommendation: Those who like post-apocalyptic stories and want to see some hope amidst the trials. I like to pick up a cozy mystery every once in a while, so I thought I'd give M.C. Beaton's Hamish Macbeth mysteries a chance. I was really looking forward to this read. Guess what? I didn't care for it much. I expect a formulaic and somewhat ridiculous plot from this type of book. I don't need to like or connect to the characters (I didn't like any of them). So these were not the reasons for my ambivalence. I'm still not quite sure what it was that turned me off. It just seemed flat. At least it is short (a little over 100 pages). I tend to give authors more than one chance though, so I will probably read another in this series. 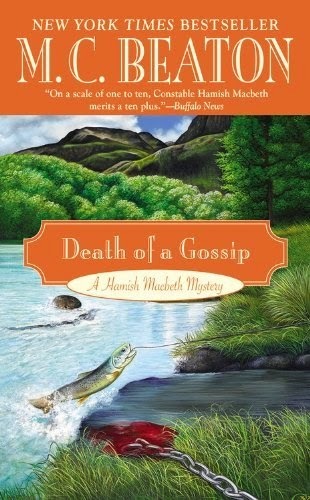 Death of a Gossip is the first in the series so perhaps the later books are better. The British TV series has been recommended to me, so I might try that out someday too. Recommendation: Fans of cozy mysteries might want to read it and see if they like it. I did a little series reading in January, as you can see. 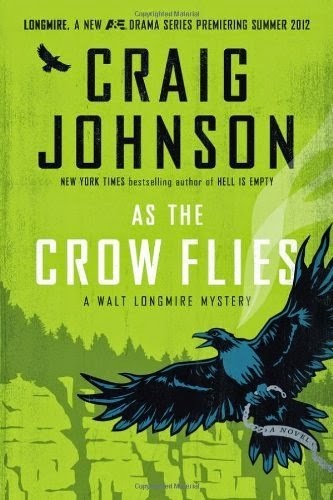 Two additional Walt Longmire books are coming out in May that I am very interested in, so I needed to catch up. Besides, I REALLY LIKE THIS SERIES. I'm a fan. Can you tell? 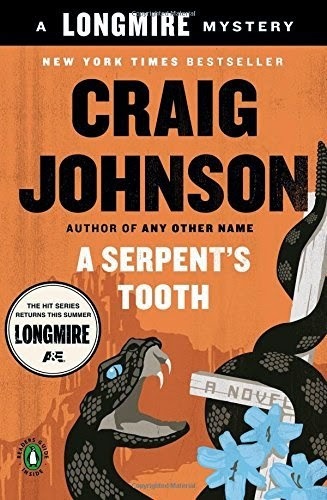 If you're not familiar with the Walt Longmire series, it is a western/mystery/crime/hard-boiled kind of thing. There is a lot of action and tension, witty dialogue and hard-boiled humor, and thoughtful philosophical passages that address many of the feelings and big questions that we all have. 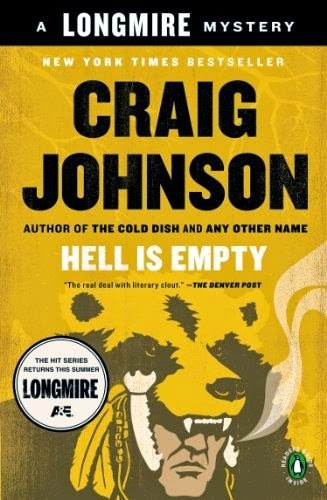 As Craig Johnson says, he tries to "deal with the universal imperative of the human condition." Native American culture features predominantly and Johnson does a fantastic job exploring the intersection of Native American (mostly Crow and Cheyenne) culture with predominant U.S. culture. Recommendation: Highly recommended for anyone who likes good writing, stories, and is interested in the human condition. Rating: I generally give books in this series 4 or 5 out of 5 stars. This was such a lovely debut novel. The story is set in a small village in the English countryside. Major Pettigrew is a widowed and retired proper Englishman who believes in honor, duty, and decorum. He is drawn to Mrs. Jasmina Ali, a widowed Pakistani shopkeeper, by their mutual fondness for literature. As their friendship blossoms into something more, societal and family pressures threaten to separate them. Can their relationship withstand these pressures as they flaunt culture and tradition? 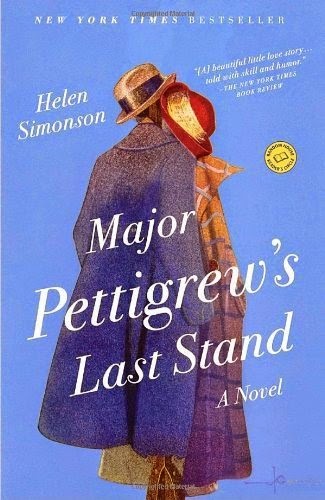 Major Pettigrew's Last Stand is full of gentle humor with more than a bit of the pride & prejudice theme running through it. There was a quiet depth that ran through this novel that speaks to the clash of cultures and religion, and the tension between generations. Beautifully written. Reminded me a bit of the movie, The Best Exotic Marigold Hotel. Recommendation: Those interested in a story that involves issues surrounding cultural, religious, and generational differences, gently and beautifully told.